Vista is a small Southern California town located about 7 miles inland from the Pacific coast. The town is gaining recognition for its large number of great microbreweries, but it is also a town that has a tradition of art appreciation, with the Moonlight Stage Production and Vista’s Broadway Theater. The best places to learn about the city’s origins and history are the beautifully preserved Rancho Guajome Adobe and Rancho Buena Vista Adobe as well as Vista Historical Society’s Museum at Rancho Minerva. Alta Vista Botanical Gardens are not only a living plants museum, but also a place where local artists can exhibit their works and blend them with nature’s creations. Moonlight Stage Productions is a professional award-winning company offering the theatergoers in the city of Vista a series of four Broadway-style musicals every summer in partnership with the non-profit Moonlight Cultural Foundation. They have been treating audiences from Vista and other Southern California communities for the last 36 years, presenting their musicals in the 2,000-person Moonlight Amphitheatre. The picturesque outdoor Moonlight Amphitheatre overlooks lush Brengle Terrace Park and is a popular venue for concerts, theater productions, weddings, receptions, and community gatherings. The amphitheater has 908 permanent seats and 1,092 places for lawn seating. Patrons often have a picnic on the lawn before the show or treat themselves to a gourmet meal at the outdoors Artisan Cafe. 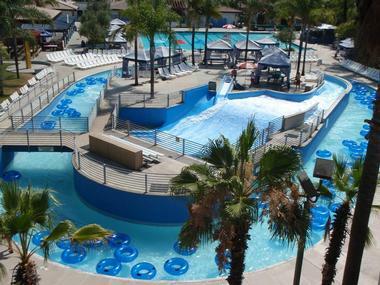 Located in Vista Village, The Wave Waterpark is a popular place for Vista families to spend a hot summer’s day. You can rent a small or large cabana to have a party or just sit in the shade while the kids are having a blast at the Lazy River, the adrenaline-pumping Slide Tower, or the Flow Rider. There is also a large Competition Pool for laps. Don’t worry if you or the kids can’t swim, The Wave Waterpark is the best place to learn. There are swimming lessons for all ages, from babies to adults. There are also mermaid classes, water polo classes, and much more. The large number of lifeguards on duty make it safe for everyone, even if you lose track of the kids – it can get crowded. The Antique Gas & Steam Engine Museum, founded in 1969, is a living history museum spread across 55 acres and located just outside Vista. The museum has the goal of collecting, displaying, and preserving objects that the show craftsmanship and mechanical ingenuity of the early settlers and farmers in the rural community of early America. The museum organizes exhibits, educational activities, demonstrations, and programs showcasing the art and skills of invention. The most important permanent exhibitions are Gas Engine Row, with a number of the early 1900s large stationary gas engines such as a fully operating 15 horsepower Fairbanks-Morse mine hoist winding engine; Steam Engines, with six steam traction engines such as a 1913 Buffalo-Pitts steamroller; and Tractors, with a number of old tractors such as two D8 Caterpillars. 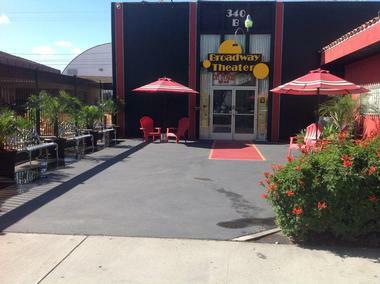 Open in June 2004, Broadway Theater is a Broadway-style theater dedicated to presenting live musicals and plays for the average theater-going public, staging a subscription season every year as well as youth productions called The Broadway Kids. The theater is highly respected in the area and is considered the best small theater in the county. It is a two-time winner of the San Diego A-list Award for Best Theater in San Diego. The youth theater company normally stages six to nine shows a year on the Broadway Theater Stage. 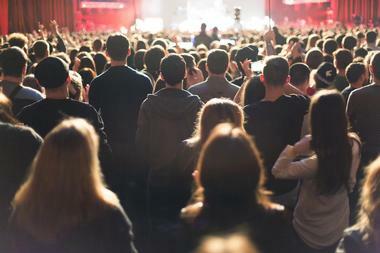 In order to be accessible to the widest possible number of theater lovers, the Broadway Theater ensures that the tickets stay comparably or lower priced than other productions of similar size. 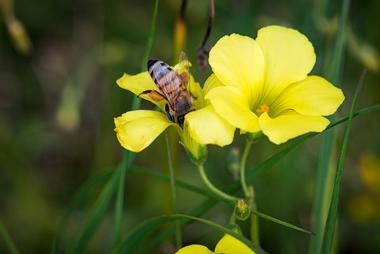 Alta Vista Botanical Gardens is not merely a living plant museum. This lush botanical garden was designed to be a community gathering place as well as a magnificent gallery for artists to display their works. Along the trails that meander through the garden are platforms that serve as visitors’ waystations and as a stage for diverse events, such as culinary events, fine art shows, the performing arts, and yoga and tai chi. This blend of nature, art, and community is a unique design in the world of botanical gardens. Strolling through the garden, visitors come to a labyrinth with a large sculpture in the center and five rows of walls made of growing shrubs. 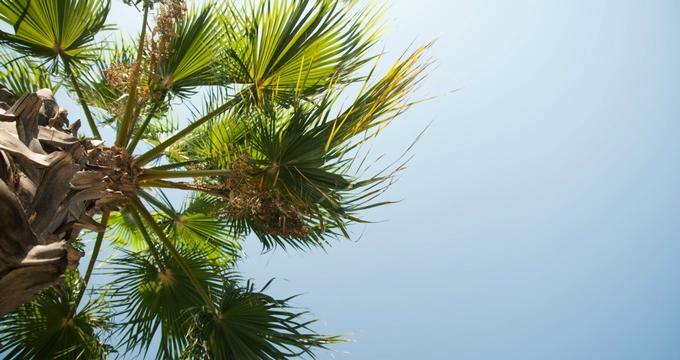 The desert garden displays palms as well as cacti, succulents, aloes, agaves, and other plants from the world arid regions. There are Madagascar, South African, Mediterranean, and California natives as well as many other thematic gardens, all with selected art pieces that blend with the nature’s bounty. Rancho Guajome Adobe, a 64-hectare historic adobe hacienda in Vista, was built in 1850 in Spanish Colonial architecture and today is listed in the National Register of Historic Places. The 22-room hacienda was the headquarters of a Mexican land grant of Rancho Guajome. The large rambling edifice has two typical tiled courtyards, a veranda, and a chapel. The hacienda is surrounded by an open area of wetlands that are a home to rich wildlife such as ring-necked pheasants, least Bell's vireo, raccoons, white-tailed kites, and the great horned owl. The 112-acre park that surrounds the hacienda is great spot for picnicking, camping, fishing, hiking, and horseback riding. The romantic surroundings are a popular venue for weddings and other events. 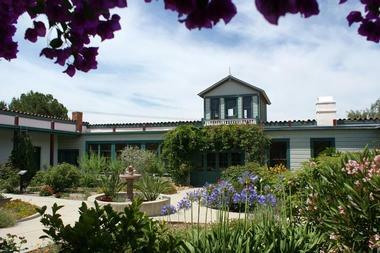 Rancho Buena Vista Adobe is a 2,288-acre ranch in San Diego County, California. The land on which the ranch was later built was given as a Mexican land grant in 1845 to an Indian known as Felipe by Governor Pío Pico. The grant, located south of San Luis Rey River and Rancho Monserate, encompassed present day Vista and is considered Vista’s birthplace. The adobe was built as a private home, and a series of consecutive owners added their own touches to the architecture and furnishing. Today, the building is a house museum, and 45-minute tours of the historic ranch are conducted Thursday and Friday and include a video presentation about the ranch history. The art gallery, located on the premises, features local artists’ works. Get Air Vista Trampoline park is an amusement park in Vista, part of a chain of popular trampoline parks exciting visitors all over the country. The venue has wall-to-wall trampolines of all sizes, long tumbling tracks, dunk lanes, and a trampoline extreme dodgeball court. Get Air transforms a kids’ favorite backyard amusement into an indoor experience, bringing it to a completely new level. 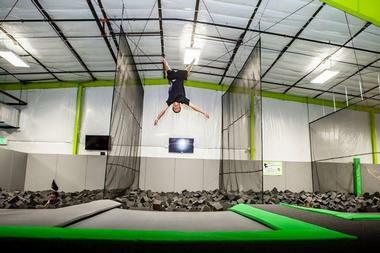 Their trampolines are individually sewn and cover thousands of square feet. They are located on the main court, either flat or at an angle. Visitors have plenty of room to hop and bounce or throw themselves into pits full of foam. Get Air also offers trampoline dodgeball games as well as slam dunks on well-padded basketball hoops. There are also a rope ladder and a slackline that challenges your balancing skills. Small children have a separate area where they can safely bounce. Boomers! 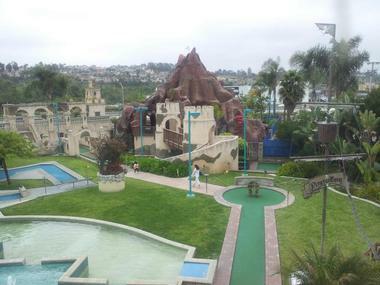 is a chain of popular family amusement centers that feature a range of indoor and outdoor activities such as mini golf, carousels, go-carts, and much more. The Boomers! in Vista provides entertainment for kids and parents with superfast go-carts, bumper boats, mini golf, laser tags, battling cages, and a range of fun just for kids. There is Kidopolis, a place for crawling, climbing, sliding, and playing, where parents are not allowed. There are helicopters, which are small and colorful, but kids can get them to really lift off, climb, drop down, and swing around through the air. All super safe, of course. Spinning Tea Cups are an old kids’ favorite, oversized tea cups that go around and spin, the more the better. For older kids, there is an arcade with all the latest electronic games. 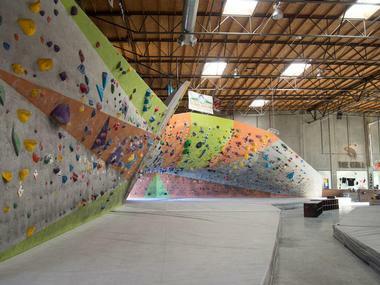 The Wall Climbing Gym is a progressive bouldering facility in Vista, California. This specialized gym offers classes for indoor rock climbing for all skill levels in a modern, exciting, and well-designed environment. Bouldering activities include introductory footwork, steep climbing, dynamic climbing, and more. Besides rock climbing, the gym also offers ninja warrior activities, training for obstacle courses, Inversions, Acroyoga, Budokon and much more. The gym is also a fun place for birthdays and other parties where, instead of dancing, your guests can hit the walls. There is a space for about 25 people and food can be ordered. 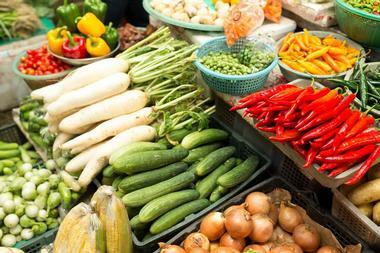 The Vista Farmers Market is not just another place to buy food. It is the place where Vista residents can go to meet their farming neighbors and buy their food, whether they grew it, made it, caught it, collected it, or had a hand it its creation; there are no middlemen. About 53 local farmers sell their wares, including local, certified, seasonal, and organic produce. Depending on the season, there are avocados, apples, persimmons, oranges, strawberries, berries, peaches, and much more. Farmers also sell eggs, nuts, honey, juices, cheeses, sausages, flowers, plants, wool, and meats from grass-fed animals. The market also hosts 34 artisans who sell fresh bread, pies, cupcakes, cookies, sauces, dips, salsas, and pickles. As you are strolling through the market, you can also have a freshly made breakfast or lunch, or check what the local artists and craftsmen have brought along. The market is located at the San Diego County Courthouse and is open every Saturday from 8:00am to 1:00pm. 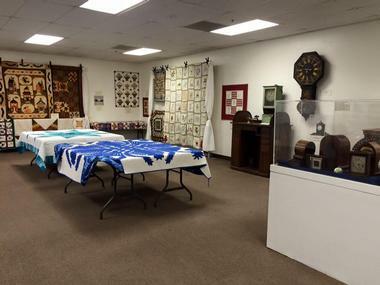 Vista Historical Society’s Museum at Rancho Minerva is a house museum that honors and preserves the past of Vista and its residents. The house was built in the early 1900s by a Greek immigrant, Nick Huntalas, who farmed the land along today’s Foothill Drive. The elegant two-story home was built with adobe bricks made from clay soil that had been excavated for the foundation. 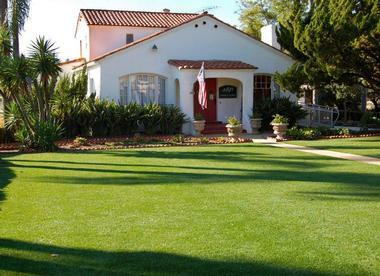 It has bright white exterior, a typical Spanish-style red tile roof, an 18-foot-tall ceiling in the living room, and rooms that today are filled with everyday objects used by early Vista residents. The house is more than just the museum of past lives, but also a social gathering place and a space for private and corporate celebrations. Volunteer docents from the Vista Historical Society offer free tours and share with the visitors the history of Vista and its most colorful residents. Sharing the space with the Antique Gas and Steam Engine Museum, the Short Track Railroad Club was formed in 1992 as an NTRAK club and is open to all Vista residents interested in model railroads as a hobby. The club is also an educational organization with the goal of sharing their appreciation of the history of railroads in the United States. The club members, some of them beginners and some experts, meet regularly to create models together, exchange experiences, and socialize. The club has three main completed railroad layouts, the most famous being the Donner Pass exhibit, a fascinatingly realistic exhibit showing the Southern Pacific train crossing the bridge in the Sierra Mountains. 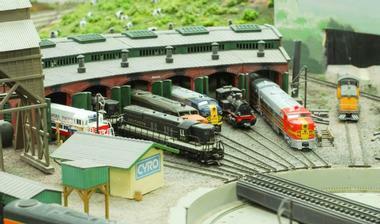 Other exhibits are NTRAK and Scenic Ridge – Kids Layout. The club is famous for their annual display at the San Diego County Fair. 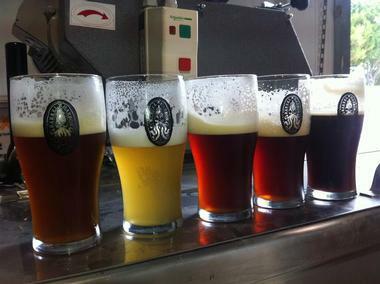 A trip to Germany and Poland and a passion for good beer inspired the creation of Iron Fist Brewing, a microbrewery with a 15-barrel brew system with four 30-barrel fermenters and two tasting rooms, one in Vista and one in San Diego. The Vista tasting room is a popular Vista beer enthusiasts’ hangout, a spacious rustic room with exposed beams, one entire wall lined with barrels and a long, long tasting table, long enough to taste all of their 15 beers from 15 barrels. Some of their favorites are the Spice of Life, a Belgian-style beer with a touch of orange peel and coriander, and an 11% ABV called the Dark Days, a brandy barrel-aged imperial stout. The food is supplied by different food trucks, the tasting room is dog-friendly, so what more could an honest beer drinker possibly need? 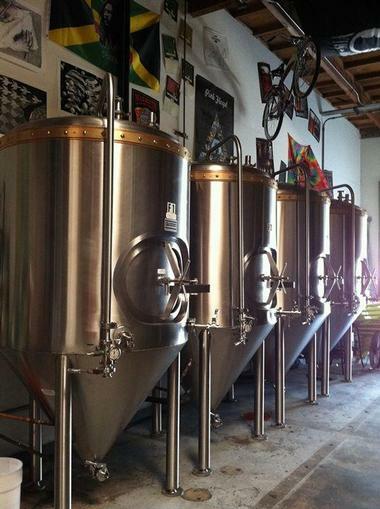 What was started in 2010 in a garage by a few friends and passionate beer brewers grew quickly into one of the largest microbreweries in the fertile San Diego beer producing areas. Mother Earth Brew Co. creates hand-crafted artisanal ales, some year-round, some seasonal, and some specialty offerings. The quality of their beers is redefining the standard of West Coast, and their winning the 2016 World Beer Cup is clear proof. 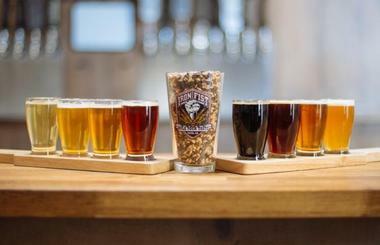 Their new brewery in Nampa, Idaho, will increase their production, which has already shown 100% growth since its inception. Mother Earth is selling their superb craft beer in two states and delivering them all over the world. You can also come to their tasting room in Vista, which overlooks the brewery, to watch the magic happen. 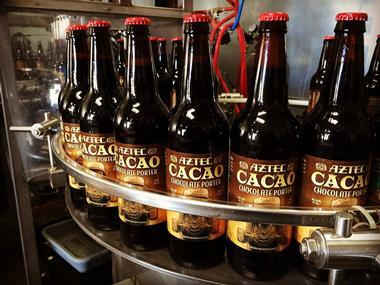 The Aztec Brewing Company, previously the Aztec Brewery, was a small Mexican brewery in Mexicali that moved to San Diego in 1933 after the Prohibition was lifted. The brewery, which closed in 1953, was reopened in 2011 in the Vista Business Park, a home to a number of other craft breweries. 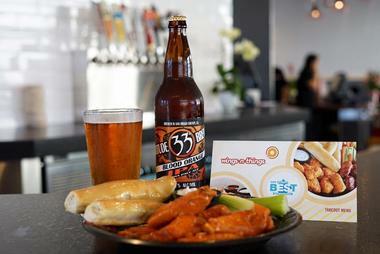 Aztec today specializes in California-style IPAs and ales, some using traditional Mexican cuisine ingredients, in honor of the historic old brewery. Aztec has a popular tasting room next to the brewery, famous for not only its 14 beers on tap but also for open mike nights and live music from Thursday to Saturday. Food is supplied by a number of different food trucks. The tasting room is small but cozy and nicely decorated with Mexican art. In an area full of great microbrewers, Latitude 33 stands out with a rich variety of interesting and unusual brews such as their Coconut Porter, their brown ale with a touch of rye, their oatmeal stout with a lot of coffee, or their porter with vanilla. The brewery took over the site from Green Flash Brewing Company and placed its tasting room right in the middle of the production facility, with a long bar lined on one side with bar stools and on another with large stainless steel vats. They also have special pizza nights and burger nights and new brew tasting events; these are by invitation only. A newcomer to the lively brewing community of Vista, Barrel Harbor Brewing managed to start making waves after only a few years with their wide range of lagers, ales, IPAs, and stouts. The vast 6,600-foot space on Pioneer Avenue is a venue where beer enthusiasts come not only to see what’s new in their dozen taps, but also to have some fun with a range of board games. There are also snacks and sodas and even coffee and tea for those who come for games and not for beer, or who want to have a beer-guzzling family members’ belly-up at the bar. There are also food trucks on site occasionally, for those who get hungry while having fun or need something to go with their favorite brew.